With the advent of Office 365 and a raft of SaaS applications now available, I’ve been a big fan of Linux on the desktop for quite a while. Customers are no longer forced to use Windows unless they choose to – other options are available. In this session we learn more about the exciting opportunities available with Linux in the EUC space. Linux virtual desktops are like any other virtual desktops… benefits are eliminated/reduced OS licence costs, greater ability to secure intellectual property etc. Customers choose Linux virtual desktops for a number of reasons, including specialised 3D applications built solely for Linux – the oil and gas industry makes use of this. VMware Horizon Linux virtual desktops support all end-user workloads – task/knowledge/power/designer. What’s Changed in Horizon 7? Horizon 7.0.1 added a simplified and unified UI. 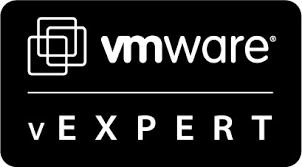 VMware is fully committed to Linux on the virtual desktop, and continues to add additional functionality with each release. Prior to Horizon 7.0.1, only manual desktop pools were supported. In the latest version, automatic pools are supported – but only for full desktops. Linked clones still require manual pools. Instant Clones may appear in a future release. Horizon 7.0 and upwards supports both managed and unmanaged VMs. This is a substantial improvement. vCenter is aware of managed VMs, but not unmanaged ones. PowerCLI can be used to manage Linux virtual desktops with Horizon. Unfortunately multiple screens are not currently supported, however smart cards are. RHEL and CentOS installations require addition parameters for display properties to be configured in the VMX file. For Pre-7.0.1, the View Agent required the broker to be set prior to installation. For 7.0.2 and onwards this is no longer necessary. Manual pool does not support PCoIP – only Blast Protocol. PowerCLI can be used to automate pool creation. vDGA is a 1-to-1 mapping, and is best for high compute and display performance, but it is not without its drawbacks. With vDGA certain functionality , like HA, is not available. vSGA is shared amongst many VMs. Nvidia K1 and K2 cards are not supported due to a limited amount of encoders available. Linux virtual desktop is relatively in its infancy, but still represents and exciting opportunity in the EUC space.